K Stewart (the singer, not the lethargic actress) made my summer so much better when she dropped one of the biggest heaters of the season, the funky '90s recall, "Keeping You Up". Okay, okay, so not many people knew about the track (for shame...), but damn does it still kick, and it is pretty much why I've been keepin' up with Miss K to follow her every unpredictable move. To take us into the autumn season, she's following "Keeping You Up" with another little ditty entitled, "Ain't Nobody"...no not the Chaka Khan club classic, no, an entirely new number that has her re-teaming with her producing co-horts TCTS ("Games"), and the Karma Kid ("Tell Me 'Bout That"). Alright now! 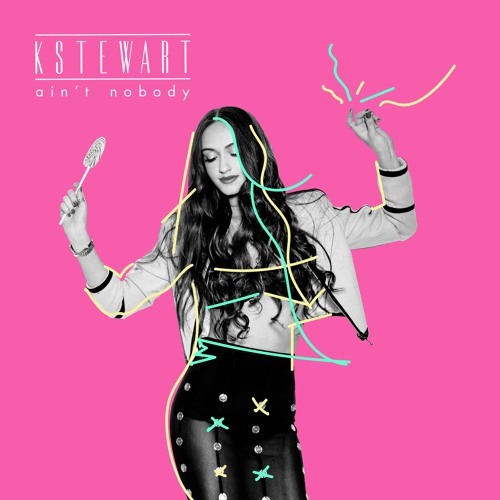 Pretty much I've liked everything K Stewart has put her mint on since her debut with "Tell Me 'Bout That", and here I go again loving what she's dishing as "Ain't Nobody" is yet another fire joint from the Londonite songstress. Okay, sure it's no "Keeping You Up", but it's a pulsating deep house jaunt that truly showcases K Stewart's polished pipes as they scale over the mountainous synth beats.